We dedicate our lives to improving the circumstance of those who have been harmed and wronged by the greed and thoughtless acts of others. Whether you’ve been seriously injured through no fault of your own, we are here to help. Age discrimination in California is illegal. If you think you were discriminated against because of your age, it is important to contact an attorney with significant experience in age discrimination cases. Age discrimination cases can be tough to prove, and an attorney with who is familiar with the law can be invaluable to your case. There are a few criteria that must be met in order for age discrimination to be unlawful. First, a person over the age of 40 must have been discriminated against in hiring, firing or promotion because he or she was considered “too old”. The individual must have been negatively affected by the discrimination. Some examples are when a worker is fired, demoted, or denied a promotion. Finally, the employee must be able to prove that other employees who were younger than the worker were treated more favorably. Age discrimination laws do not protect anyone under the age of 40. Therefore, if you were fired because you were “too young”, that action is not illegal. Also, in some cases age discrimination or forced retirement are legal. Federal government positions and jobs involving public safety are exempt from age discrimination laws. In addition, some executive jobs are exempt. Some common examples of age discrimination are when older workers are encouraged to retire or are laid off instead of younger workers, when workers are teased about their age at work, when workers are told they are being fired for poor performance but actually are fired because of their age, or not getting hired because the employer wanted someone who looks younger. Some companies may assume that older workers work more slowly, demand higher wages or can’t keep up with new technologies, all of which are illegal. As you may imagine, these lawsuits can be hard to prove—just because a worker is over the age of 40 does not mean their termination was based upon their age. It can be difficult to show, for example, that a company that didn’t hire an older person and hired a young person did so because of age. However, in some instances the conduct is so blatantly obvious, or the company has such a widespread policy of age discrimination that the case can be easier to prove. Workers who experience workplace discrimination in California because of their age can sue under the California Fair Employment and Housing Act, or under the Federal Age Discrimination in Employment Act. Cases may be brought in either federal or state court, or both, depending on the factors involved. If successful, workers can recover lost wages and benefits, as well as a financial award for the poor treatment. If you have been wrongfully discriminated against in the Oakland – San Francisco area, including Fremont, Hayward, Berkley, Richmond, Concord, or the surrounding areas, you have legal rights. However, you only have a limited time in which to protect those rights. Contact Micha Star Liberty, age discrimination attorney at 415-896-1000 or 510-645-1000 for a free consultation as soon as possible. 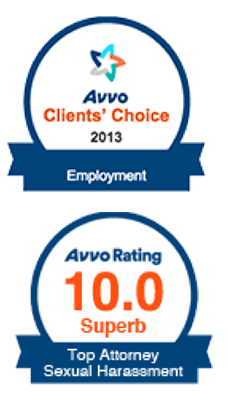 She has significant experience in employment law issues, such as age discrimination. 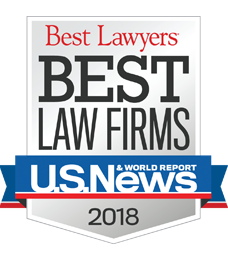 Micha Star Liberty is the owner of the Liberty Law Office, with a diverse legal practice representing plaintiffs in cases involving unlawful business and employment practices, personal injury and mass tort, defective products, civil rights, antitrust violations and consumer protection. We’re interested to learn what our clients have to say! If you’ve had a great experience with Liberty Law, please submit a review below. "I sought out Ms. Liberty to represent me in a medical malpractice lawsuit." "I never met a lawyer so kind and so dedicated to her client like Ms. Liberty." "Micha Star Liberty represented me as the lead plaintiff in a class-action lawsuit by customers against Waste Management." 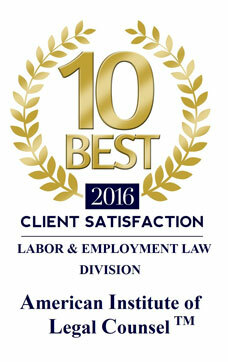 "I am thrilled to recommend Micha Star Liberty as she was an outstanding attorney!!!" "Just when I was about to give up to the misrepresentation of the original law firm that took my case, I found Micha Liberty." "With grace and professionalism, Micha helped us navigate one of the most trying periods of our life."